The Service sector being the dominant sector contributes to over 60% of India’s GDP presently. Commensurate to this, there is an increase in expansion of taxability of services with the advent of Negative List under the Service Tax regime. In tantamount to this, penalty provisions under service tax have been revamped to ensure non-discriminatory form of penalties. Sec.76 and 78 of the Finance Act, 1994 are the underlying provisions for penalty under Service Tax. 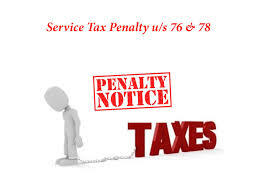 Sec.76 deals with penalty for failure to pay Service Tax whereas Sec.78 deal with penalty for failure to pay Service Tax for reasons of fraud, suppression etc., These provisions have undergone amendments with effect from 14th May 2015 vide Finance Act, 2015 in order to rationalize the penalty provisions. However, a major blow to these amendments is omission of Sec.80 which dealt with waiver of penalty in case of reasonable cause. Before discussing the penalty provisions, we need to look in to the provision dealing with recovery of service tax. Sec.73 of the Finance Act, 1994 empowers Central Excise Officer to serve notice on the person for demand of service tax in case of default or evasion. The demand notice must be served within 30 months in case of default and within 5years in case of evasion from the relevant date.However, in case any statement containing details of default is issued subsequent to serving of notice u/s 73(1), such statements are also deemed to be show cause notice. In many cases, penalty has been imposed even if service tax is paid along with interest before issuance of notice. In case of M/s. Visranthi Builders Vs CESTAT, CCE, (2015 (6) TMI 697), Madras HC has upheld the imposition of penalty even in case where service tax is paid before issuance of show cause notice.Prior to 14th May 2015, the provisions sec.76 and 78 did not mention about serving of notice. However, this position has changed after amended version of sec.76 and 78 came into force which mandates serving of notice for imposition of penalty. Similarly, if service tax is paid either on self-ascertainment or on ascertainment by Central Excise Officer before issuance of notice, then in such cases, no penalty shall be imposed. Where service tax has not been levied or paid or short levied or short paid or has been erroneously refunded, in such cases penalty is imposable u/s.76 of the Finance Act 1994 along with the Service tax amount due with interest. Prior to the amendment of Sec.76, penalty was imposed at the rate of Rs.100 per day for each day of default or 1% of Service tax due whichever is higher, provided total penalty should not exceed 50% of Service tax due. Now, the existing Sec.76 imposes penalty which shall not exceed 10% of the amount of service tax. It also provides for the benefit of reduced penalty. If the amount due is paid within 30days from the date of receipt of order, then no penalty will be imposed. Similarly, if the Service Tax due is paid within 30days from the date of receipt of Order of Central Excise officer determining the due amount, in such cases, only 25% of the penalty imposed is payable. On an appeal against the Order of imposition of appeal to Commissioner (Appeals), Tribunal or court, the penalty amount may be reduced/increased based on the facts and circumstances of each case. In such cases, the benefit of reduced penalty at 25% shall be extended from the date of Order of such appeal. Sec.78 of the Finance Act, 1994 deal with imposition of penalty where any service tax has not been levied or paid or has been short levied or short paid or has been erroneously refunded due to the following reasons with an intent to evade payment of service tax. contravention of the provisions of Act or rules. Even when the above one or more ingredients are present, to levy penalty under this chapter “intention to evade tax” is necessary and mandatory. The intention to evade tax must be proved beyond reasonable doubt. At the same time, Sec.78 also provide for the benefit of reduced penalty wherein if the service tax due is paid along with interest within 30days from the date of serving of notice, then only 15% of the service tax due is payable as penalty. Prior to amendment, the reduced penalty was 25%. However, if the service tax amount with interest is paid within 30days from the date of order of Central Excise Officer determining the details of Service tax due, in such cases 25% of service tax is payable as penalty. An appeal shall lie to the commissioner (Appeals), Tribunal and High Court against the order of the Central Excise Officer for imposition of penalty under this section.If on such appeal, the penalty amount is reduced or increased then the time limit for reduced penalty is calculated from the date of Order of such appeal. One of the major amendment to the penalty provision is the omission of Sec.80 of the Finance Act, 1994 which provided for waiver of penalty if it is proved that there was reasonable cause for such failure. In almost every case, where penalty was imposed u/s 76, 77 and 78, the provision which was relied upon to defend the failure was Sec.80. Due to this provision, many bonafide default cases were saved from imposition of penalty. However, now with the omission of Sec.80, no more reliance can be placed on it rather to pay the penalty amount even in bonafide cases. From the above analysis, it is found that in one way penalty provisions are simplified by extending the benefit of reduced penalty. On the contrary, the penalty is made more stringent by the omission of sec.80 in which case, even in genuine cases of default, penalty is liable to be paid. While we know the relief of penalty, by Commissioner (Appeals) is of remote chance, the Tribunals are also not so justified in vacating the imposed penalty. Even in the cases where the Tribunal has dropped penalty, it is again the same officers, who stand in the position to decide whether to appeal before High Court or not, and thereby hindering this issue to attain finality. 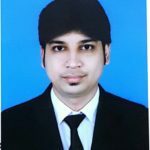 The Supreme Court in Union of India Vs. Rajasthan Spinning & Weaving Mills on 12 May 2009, a case not over ruled by any court, says that for levy of Penalty, the presence of mens rea is a critical factor which is covered by Sec 28 of the Service Tax Act. Whereas Sec 76 is imposing Penalty even when there was no fraud or intention to evade tax, which is going against the principle of Penalty. Under such circumstances, in my opinion, the penalty provisions though they appear to be non-discriminatory, have only become more stringent. So, as it stands today from the statute and from a plethora of judicial decisions once any default or any mistake is committed under Service Tax provision whether for a benefit or not, relief from penalty is very remote. Next Next post: Taxability of compensation on compulsory acquisition of non-agricultural land – CBDT clears the air!